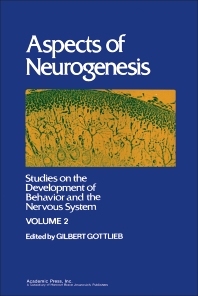 Studies on the Development of Behavior and the Nervous System, Volume 2: Aspects of Neurogenesis describes the establishment of the connections between and within different parts of the nervous system. This book is organized into three sections encompassing eight chapters that specifically tackle the synaptogenesis, fetal function, and metamorphosis of the brain. The first four chapters of this book deal with a microscopic study of synapse formation, the specificity of interneuronal connections, and the development of excitatory and inhibitory synapses, especially in relation to early behavior. The following chapters examine the electrophysiological functioning of intact, living fetuses at macroscopic level. The concluding chapters look into the important events happening in the nervous system during metamorphosis and birth. These chapters also discuss the critical role of hormones and biochemical factors during these stages. This book is of great value to neurologists, developmental biologists, and researchers.